At 0800 it’s -3 on the thermometer and doesn’t really change all day, except to get colder. The so-called Beast from the East, a very cold weather system from Siberia, is blasting the UK. We’ve got off lighter than many areas but it’s very cold. There’s no snow until late afternoon, although the village pond is already frozen solid. The canal is going that way too. As I watch the narrow boat go I can hear the ice cracking! In the time it takes me to click the photo my gloveless hand begins to tingle and hurt with the cold. I feel chilly and can’t get warm, so I wear my Holey Cowl over the top of my Mira Cowl. I’ve never worn either inside the house before. It’s -5 at 0742 so I’m staying in bed reading for a while, because I can! It’s so cold sticking your arm out of the covers, even with the radiator full on. I meet up with Mum and we go to the library and pop to the supermarket for her groceries. When we come out the car park is swirling white with a snow blizzard. It’s hard to see where the car is parked! We go to her home for soup and toast. Barty naughtily sits on the worktop, watching the snow fall. The window thermometer tell me it’s -4 and there are gusty winds with light snow at 10:00. I plan to make chicken soup, update my card details on the national Lottery website (ready for that huge jackpot win) and start my cowl. The heating is on full blast, but I’m still cold. I dig out my Poncho and am so pleased as it instantly warms my shoulders. 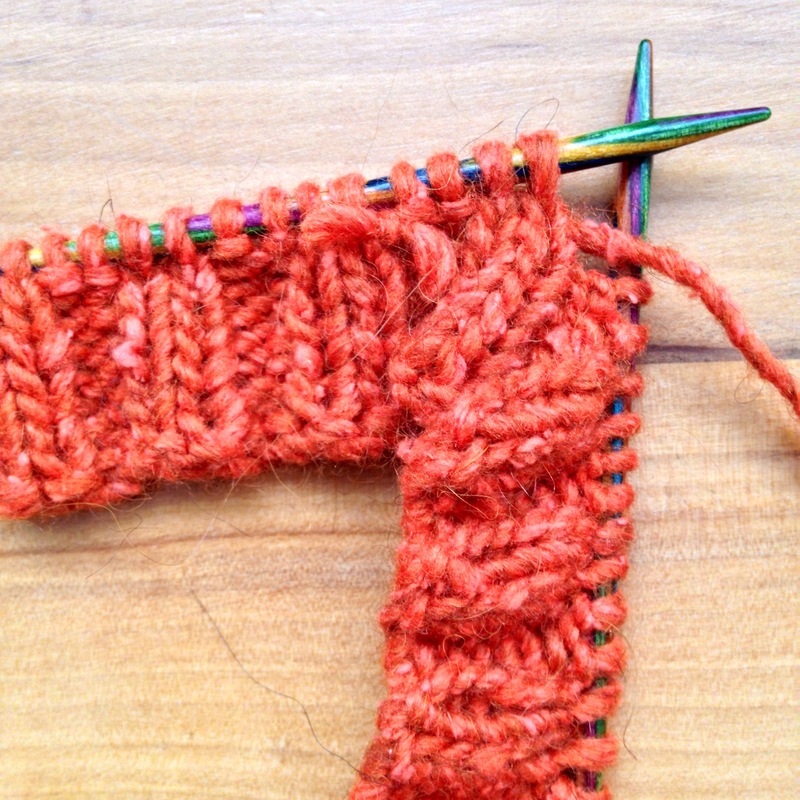 I relearn how to do a long-tail cast on. If you’re also a leftie watch Bill Souza teach the left handed LTCO, he’s very good. Next I need to do a tension swatch, but can I do flat knitting for what will be a circular knit? Instagrammers tell me I can, but there’s a special technique to it. Purl Soho have a good guide. I check my swatch after an inch or so, because my Knitting Answer book says I will be able to tell how it’s going by then. 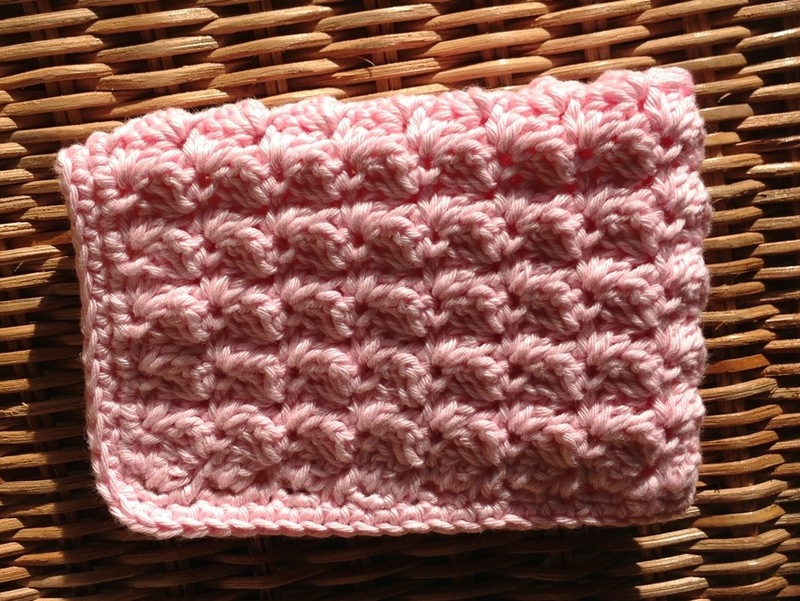 They say to measure 4″ and count the number of stitches, it’s easier than my usual method of the other way around. 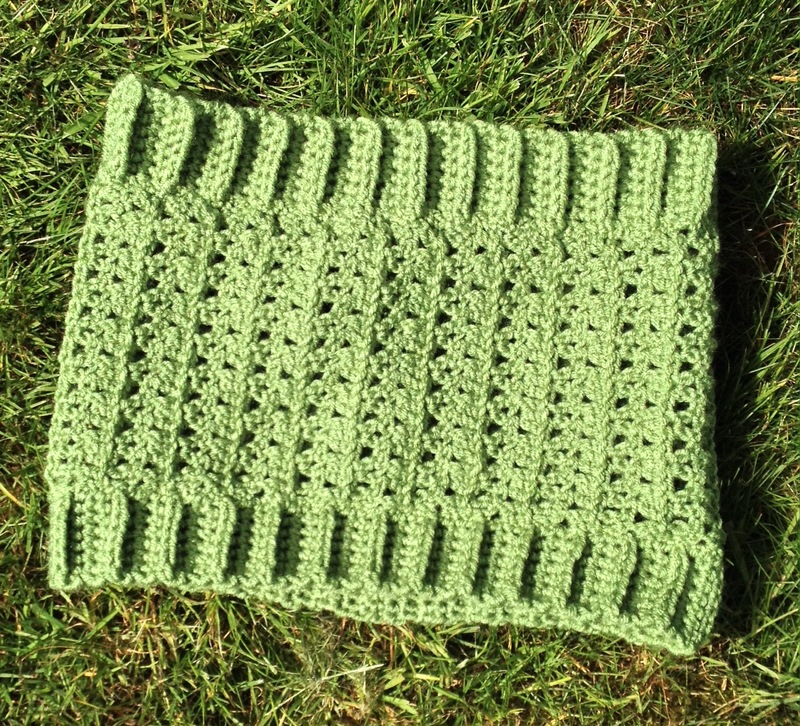 My tension is perfect for the cowl pattern! Wey-hey I don’t think that’s ever happened before. I need to cast on 120 stitches. My book describes various methods to decide how long to leave your tail. I choose the one where you allow an inch of yarn per stitch. Someone is incredulous and says “But that’s 10 feet of wool!” and indeed he turns out to be right. It seems the easiest method, so I get the big tape measure out of the junk drawer in the kitchen. It is more than enough, really and truly. My little piece of knitting is destined to have a massively long tail. It’s a waste of good Shetland Tweed. Maybe next time I’ll try another method and calculate the tail measurement by multiplying the circumference of the finished item 3 1/2 times. What do you do? Cable cast ons are an absolute breeze in comparison. At the end of a mere 5 hours I have relearned the cast on, swatched for circular knitting, cast on 120 long tailed stitches, painfully knit the first round (my CO is so tight that the tweed feels like garden twine cutting my poor fingers) and slowly knit 3 rounds. I think this cowl had better look half ok, because I’m fighting my perfectionist tendencies all the way. I will not allow myself to unravel a single bit. I can’t have spent 5 hours in total today with nothing to show. Sometimes it’s better to actually use new skills and refine them as you go, while accepting the first item will not be the best. I find this hard. My natural tendency with tricky knitting is to undo it again and again. I lose heart. Decide I just can’t do it, it’s rubbish and then I move on to something easier different. Not this time! I want to crack lace knitting. Hard lace knitting, not mere holes in cowls. -4 at 0800 and it’s clearly snowed some more overnight. It’s now about 4″ deep. We decide to go out for a walk and so wrap up as warmly as we can. It’s -2 by the time we go, but the BBC weather app tells me with the wind chill factor it feels like -9. Pretty soon my legs and bottom feel numb. Someone smugly tells me he’s toasty, because he’s wearing his fishing thermals. Wah! And I’m wearing jeans, which I know, I know, are the most useless thing in this weather. My legs are red like lobsters when I take down my jeans, back at home. Luckily I have the brilliant idea of leaving a spicy lentil soup to cook in the slow cooker, while we’re out. I delegate the chopping and initial cooking of spices, onion, celery and carrot while I shower. What a brain wave. It is super (souper!) to smell lunch ready and waiting for us when we return. Not many are out at all, we see a handful of people with sledges but it’s bitterly cold for the dogs and their walkers. With the icy wind cutting across our cheeks and snow beginning to fall, it’s a big relief to be home. It’s been snowing steadily for over an hour now. I will knit my 4th round soon. Wish me luck! My cousin has been holed up in a pub in Lincolnshire for 2 nights. It isn’t that far from where she lives, but the roads are impassible so she hasn’t been able to get home. There are definitely worse places to be stranded; if that were me, I would drop my Dry Lent like a shot. How cold, or warm, is it where you are? Any snow? Let’s share a weather report from around the world. 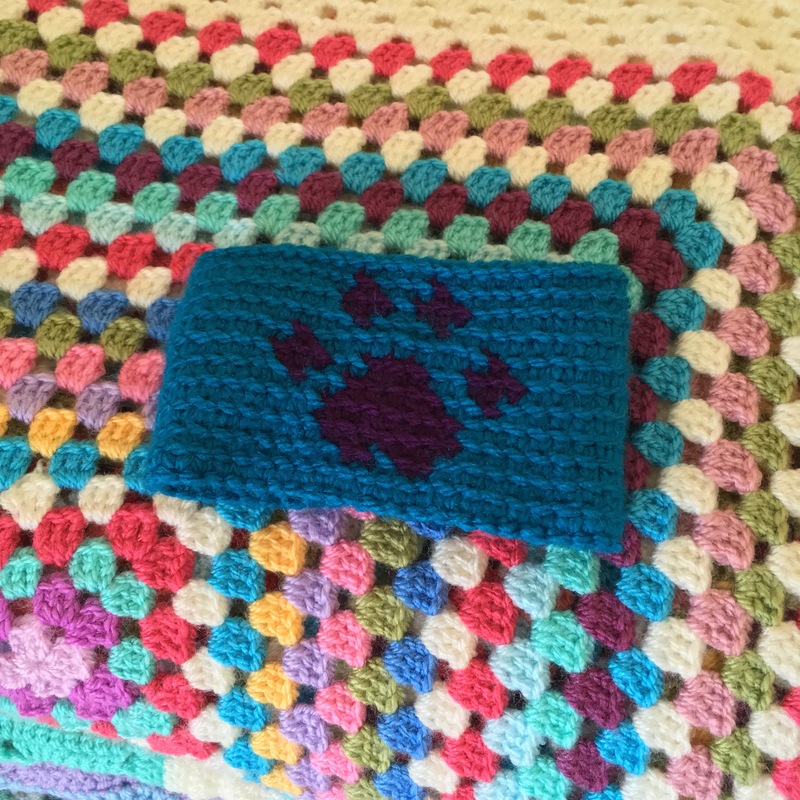 This little paw print cosy for a take-away coffee mug has been occupying me the last few days, whenever I’ve sat down to take advantage of the bright sunny weather. I haven’t done any tapestry crochet for ages, so really enjoyed practising my rusty skills. 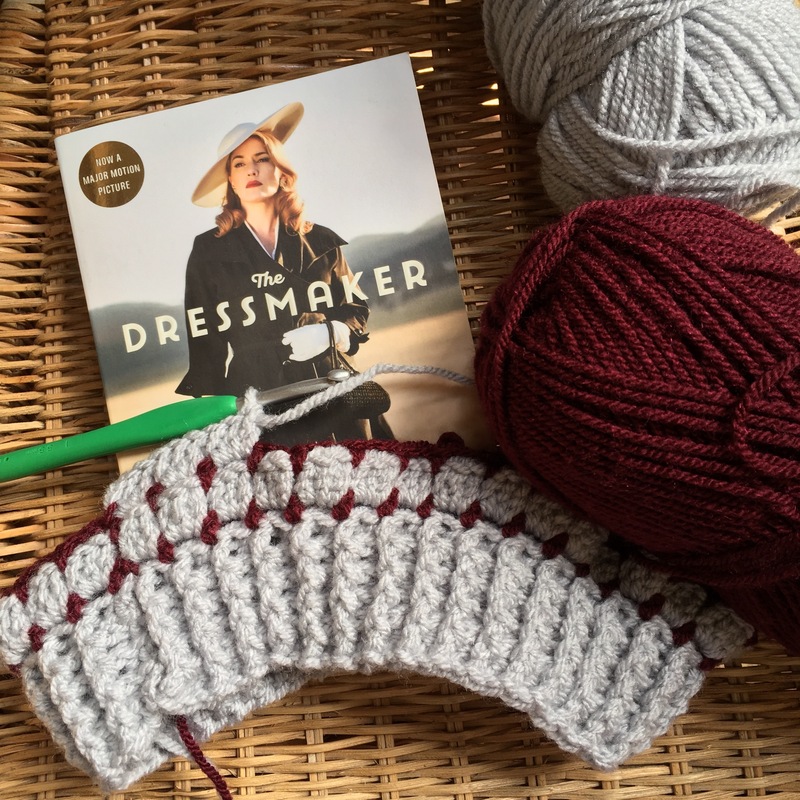 More about where the pattern and kit came from very soon…. I have to take a little black cat, with a powder puff tail, to the vet shortly so this is a very quick post. I’ve still got three more chapters of As I Walked Out One Midsummer Morning by Laurie Lee to read! I’ve been out a lot recently, so no time for reading before lights out. I have started a new audio book though; The State We’re In by Adele Parks. 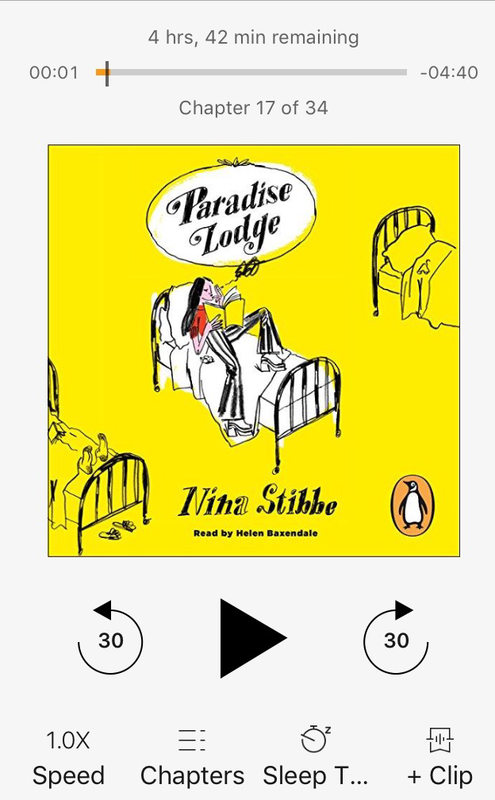 This is ticking all the boxes so far, with time jumping all over the decades, seemingly unconnected characters and a dying man trying to connect with someone he’s neglected for 30 odd years. It’s my kind of book. Easy come, easy go and it’s always enjoyable trying to work out who’s who and why and what. 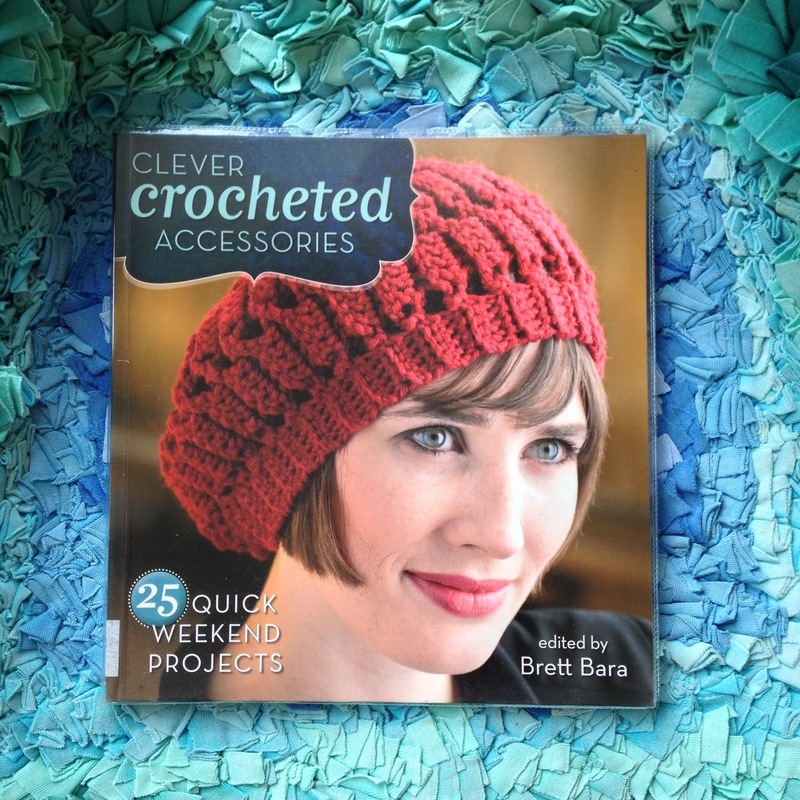 I’ve enjoyed making this cowl designed by Vickie Howell, which is featured in the book above. There’s nothing else I want to make from it but that’s the beauty of borrowing a library book; they’re free so there’s no feeling of obligation to get your money’s worth. I feel a little as if my custard brain should have been able to figure how to make it all in one, with no sewing up, but I found making the ribbed border fiddly when slip stitching into the end of the main piece as I went. Having it dangling from the main body piece was just plain annoying too. So I went back to the instruction to make three separate pieces and sew them together. Whip stitching (we call this oversewing don’t we?) was novel as I usually choose to crochet everything together. Running out of yarn both times, halfway through the process wasn’t much fun. Isn’t there some useful tip about needing three times as much crochet yarn as you measure to the end of a row? Well, I figured sewing would take roughly double the quantity. Wrong! 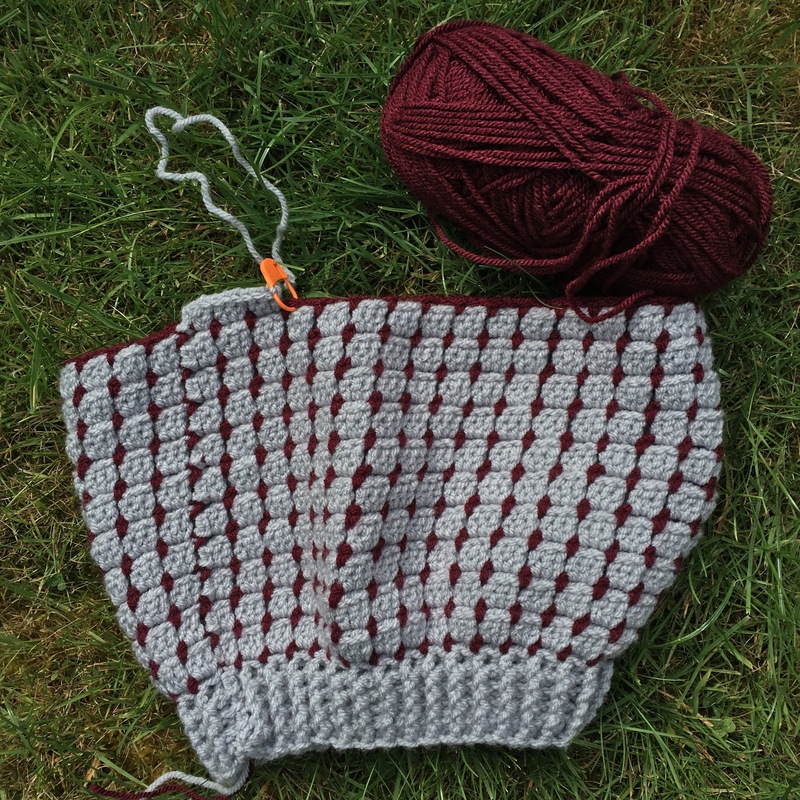 To begin you crochet a fairly narrow v stitch body piece. Mine is 6″, each ribbed border piece is 2″ which adds up correctly to a 10″ cowl, though my swift tension check did not seem to correlate to the pattern at all. I’d anticipated needing to up-size my crochet hook so I’d already chosen to use a 6m, rather than 5.5mm and its worked out well, luckily. I probably need to learn to correctly check my tension, but when its 4.5 rows and 14 stitches etc it just seems far harder work to check than a pattern which states 10 x 10 = something easy like 10. V Stitching into the front loops gives a pleasing texture when the piece is turned on its side. I like this pattern a lot, even with the slow putting together end stage and the cowl looks good on, only its not for me. I’m giving it to my friend as another birthday present, she’s going to wear in when she’s on her bike. It should keep her warm as the cowl is good and thick. I used the Red Heart Super Saver Worsted / Aran (Tea Leaf shade) which was sent to me from the USA for my Left Handed Crochet photographs for Red Heart Yarns blog. I thought this was a good use of some of the yarn. Now I’m on the look out for a really nicely coloured, soft wool blend Aran so I can make myself a Cozy Cowl too. I’ve just had a sip of BrewDog’s ShipWreck beer which is 13.8%, matured in Speyside and Islay whisky casks, made with smoked agave. My lips and throat feel puckered from the inside out! I’m sticking with their IPA: Ace of Simcoe. 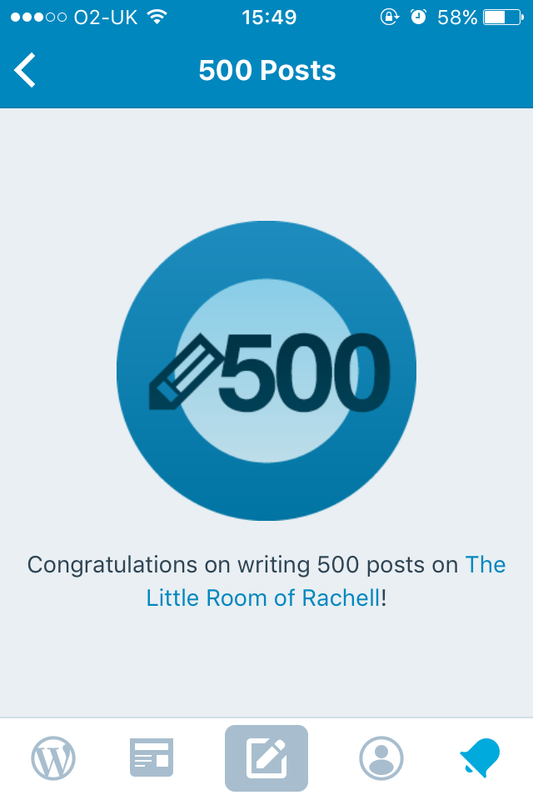 Just got this notification – 500 posts! How did that happen? That’s a lot of crochet isn’t it?!! Near the end of May I received an email from Black Sheep Wools asking if I would like to review some new designer yarn. Well of course the answer was yes! Who isn’t going to want to try brand new designer yarn, for free? Then I was told I’d need to complete a non-disclosure agreement, I was not to tell anyone about the yarn or even that I was to be doing a review. How secret squirrel was that?! I’ve been sent yarn and other products before from various companies and have never seen a disclosure form. I admit that I felt quite excited and started to look around for crochet patterns; this would be the time to start on my first crochet garment, no more blankets, hats or scarves for me, this was obviously going to be a lovely big bale of yarn, suitable for a cardie, jumper or huge wrap, otherwise why all the secrecy and legally binding paperwork? I may be about to fail short of some of these guidelines but this is my space, I have used the yarn and will tell you as many details about it as I can, given the quantity. The moral of the story is that sometimes bloggers get free things to play and have fun with, other times freebies come with expectations. Be prepared. But Black Sheep Wools seem like a good company and obviously have very discerning tastes in craft bloggers (the need for a winking smiley feels strong here, but I will not break my no emoticons in a post rule) also I can’t imagine ever writing a ‘review’ which wasn’t honest. If you want an honest opinion I’m your girl. I’ve never used any Louisa Harding yarns before so this was a new experience. This lovely yarn feels quite soft but also due to its thickness of the strand (and the silk?) it’s strong. The band doesn’t say, but I think it’s aran as it needs 5mm needles and is thicker than other designer DK yarns I’ve used. 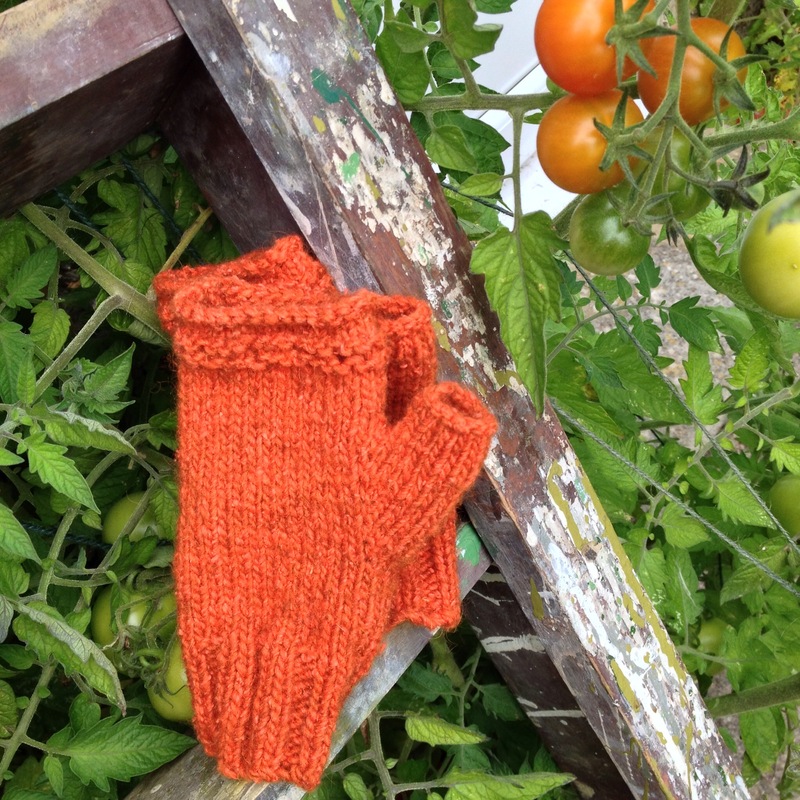 I decided to make more fingerless mitts as it seemed just the right amount of yarn for a pair. I’m going to give these away as a present. 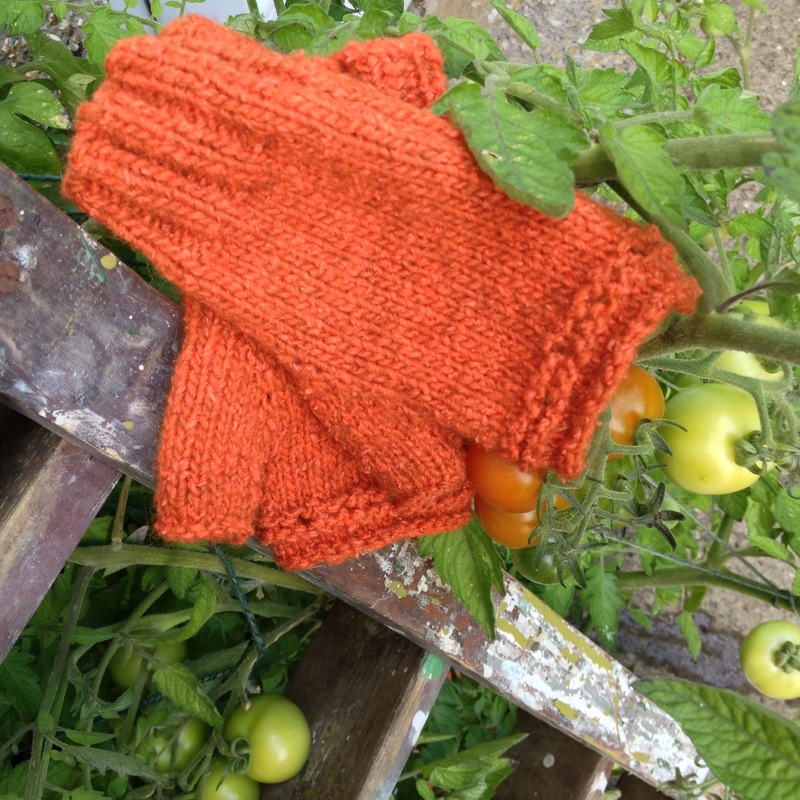 I used much smaller needles than the recommended 5mm, but the resulting fabric is thick and makes warm mitts. Although it’s really annoying it seems that it’s sometimes inevitable that wool yarns have knots in them. This is one disadvantage to using woolen blends, unlike acrylics which rarely have this problem, but most synthetic fibres do not have the quality feel of yarn like this. Unlike a ball of baby cashermino I once used which once had 4 or 5 knots in one 50g ball, this ball of Esquel had only the one. I decided to cut the yarn and start the cuff again, the fewer darned ends in a pair of mitts which will see plenty of wear and tear, the better. 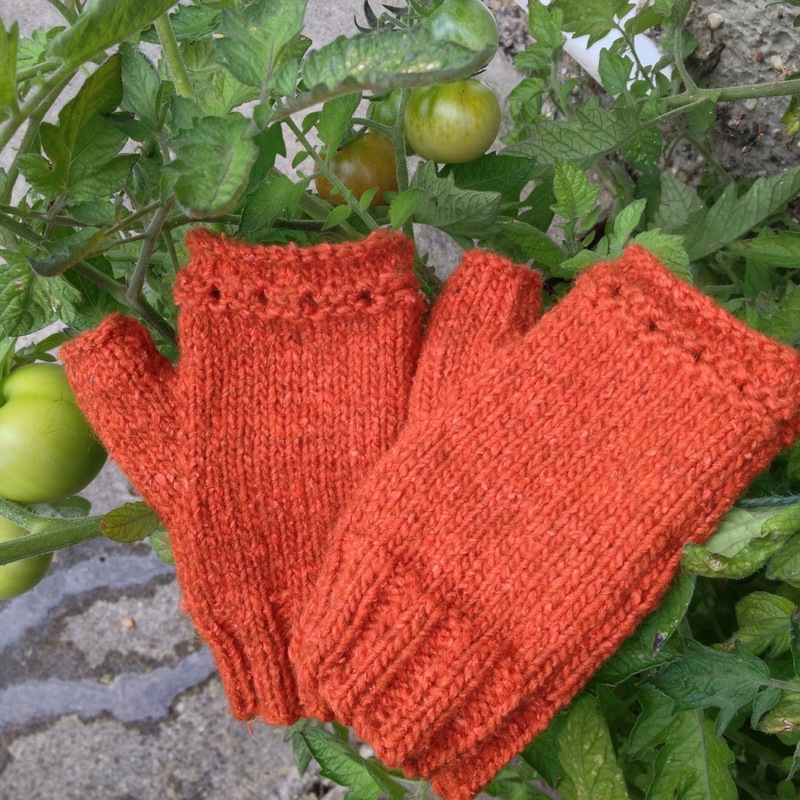 I would recommend Esquel, because it comes in such lovely colours, the feel of the knitted material is fairly soft and also seems as if it will be hard-wearing and warm. I bet a knitted, or crocheted, jumper would be super toasty in the winter. 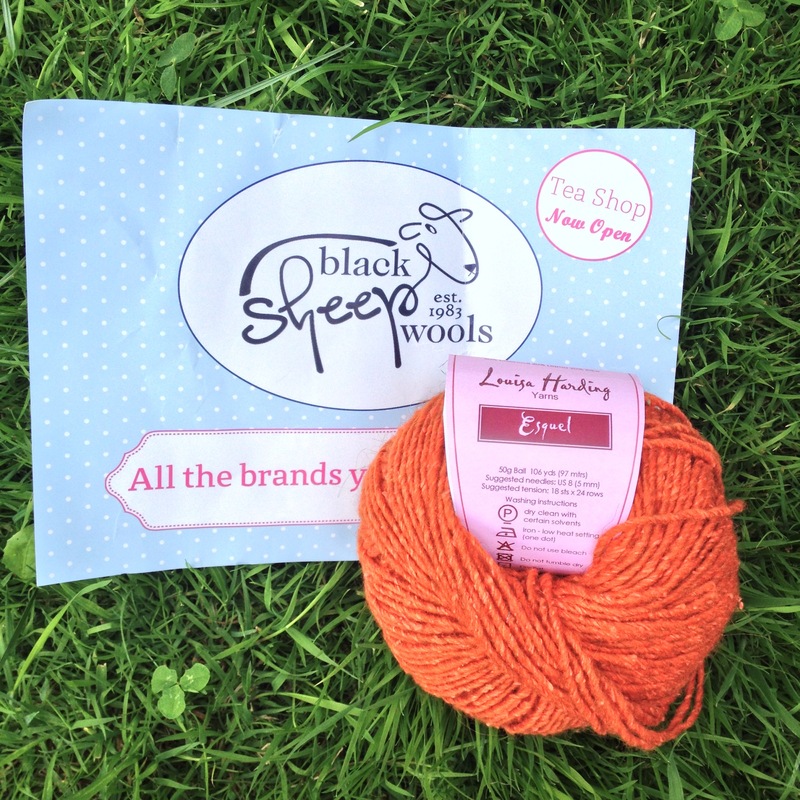 If you’d like to check out Louisa Harding’s Esquel in Black Sheep Wool’s online yarn shop it’s currently £5.35 a ball. 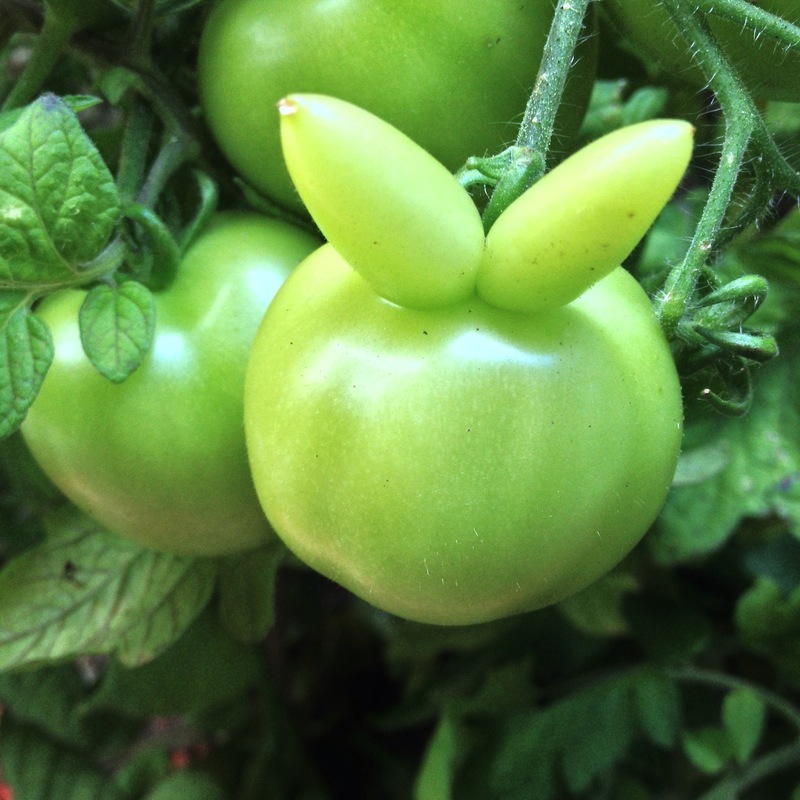 As I photographed the mitts outside on my emergency-stepladder-storm-resistant-stand-up-tomato-plants-please-don’t-fall-over-device look at what I saw…I’ve grown a rabbit! Here endeth the review. A Manhattan is waiting for me on the other side. Happy cocktail hour weekend everyone! I suddenly got the urge to crochet something in one go last night, so ironically sat up until too late making this while watching a tv programme about sleep problems, yawning my head off. Isn’t the stitch lovely? I’ve been looking though my Vogue Stitchionary and Harmony Guide to Crochet Stitches to find out its name, but can’t find anything similar. Lack of sleep can affect your cognitive skills so I might well have missed it… Basically it’s 1 dc, 2 tr into a ch, miss 2 ch and repeat to the desired height. Strictly speaking it needs blocking of course, some of those curly round corners need the spa treatment, but since it’s going to spend half of its life wet it seems pointless. 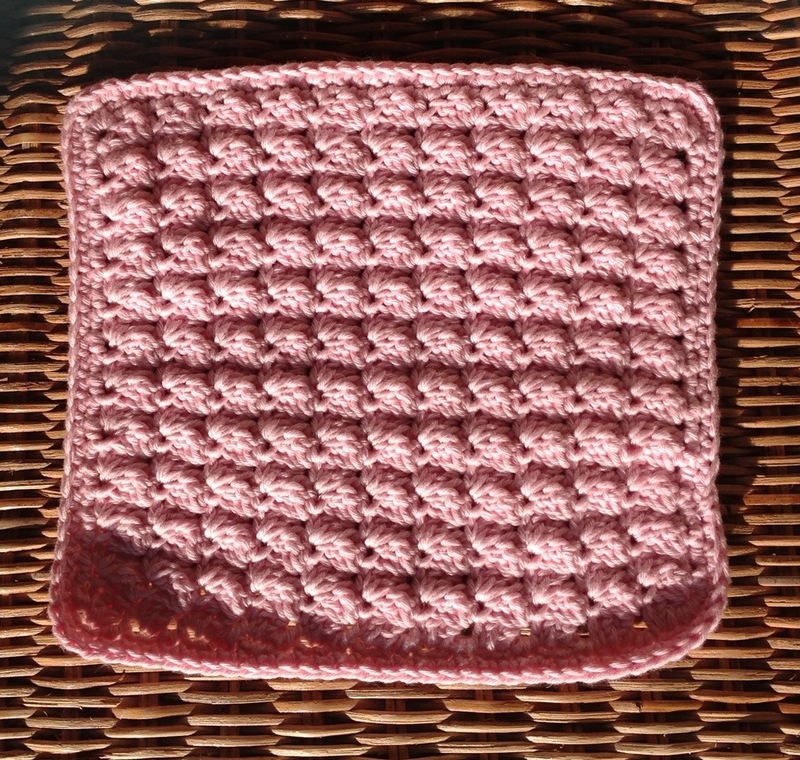 I used this pattern by Kara Gunza. Do you recognise the cotton? It’s the ball of Rico aran creative cotton I bought the other week during my visit to Guthrie and Ghani. I’ve never used aran cotton before. Actually I’m not sure I’ve used aran anything before. It was a bit splitty but worth it for having such a soft cotton cloth at the end. I wanted a nice close texture so used a 4mm hook and chained about 32 to begin so it would still be a decent size. I forgot to report that the last washcloth hasn’t made my face yellow. The Planet Penny cotton is great. If you want a cloth with good scrubability that’s the one. 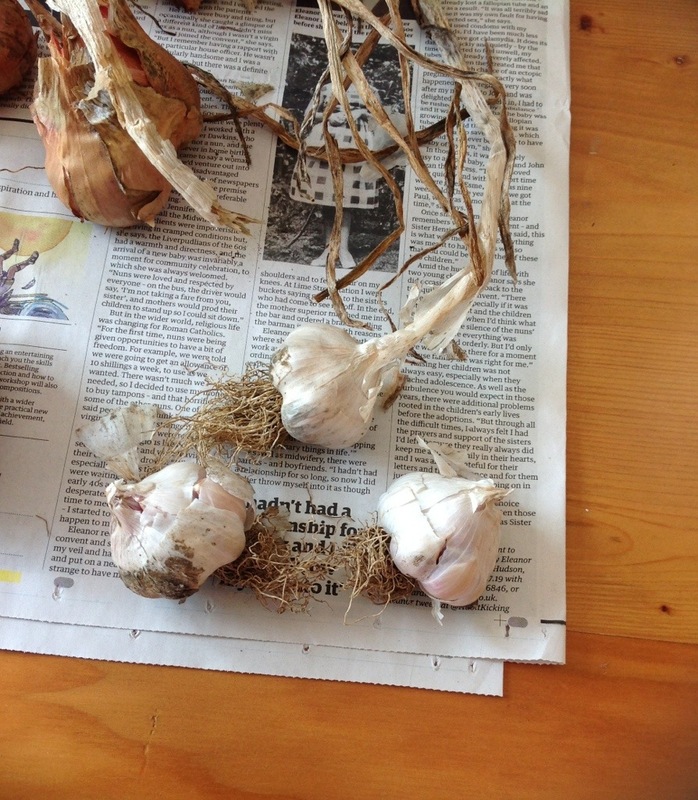 Now I have a random picture of some garlic a relative’s grown. Isn’t it impressive? It looks just like it does in the shops!